Can I mix a show with a Allen and Heath QU-24 mixer and my StudioOne 3? Using Windows 10, Allen and Heath ZED-10FX driver will not show up on my driver selection. Can I use a MacBook Pro with USB C connection with my StudioLive 24.4.2 mixer? SL 24 series III with Stagebox series III 32R, can I use and mix the 32 mic input ? How can I send a Logic Pro Session through mix outputs on my Studio Live 24 Series iii? 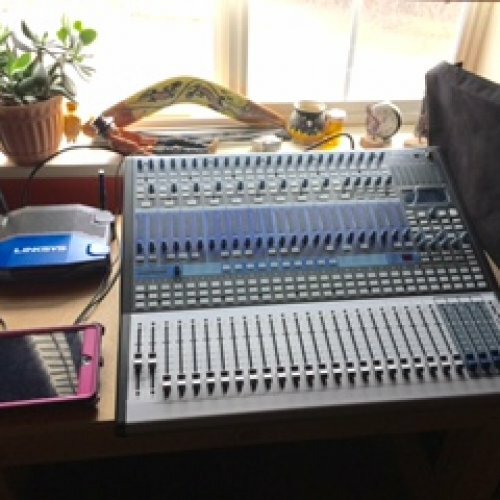 Can I connect my Presonus 24.4.2 mixer to a MacBook Air? I have a mixer Studiolive 24.4.2, and I can not hear through monitors (headphones and control room).